Several of last year’s plants have come back this spring including my chives. 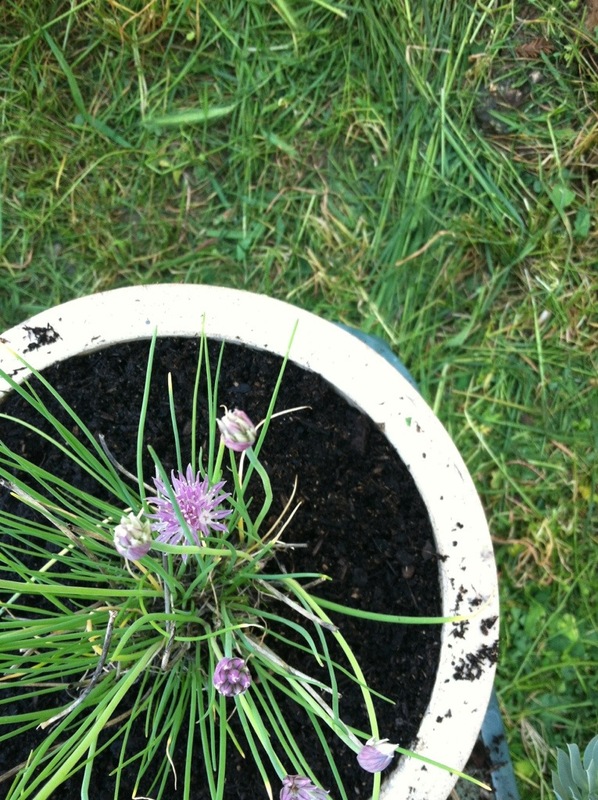 I have plans to turn these chive flowers into chive vinegar after they fully bloom. Look for it in a week or so. I’ve heard it turns the vinegar purple! If you have time today add some fresh potting soil to your potted plants. Just spread it around on top. If its been a couple years, just repot the whole thing with fresh potting soil.